I have to pinch myself sometimes to think that I can remember when colour televisions, calculators and mobile phones and even fax machines were all expensive novelties that I used to admire in the homes of other, wealthier or simply more adventurous, families. Another novelty, I remember from those early days – of the mid 1970s – was ‘real’ French wine. This was the time when Britain became – at least nominally – part of Europe and subject to its vinous legislation. Suddenly, the days of selling Spanish Sauternes, and of bottling the same North African red as Beaujolais, Nuits St Georges and Chateauneuf du Pape were over. The experience of discovering the real flavours of these wines, was rather like the switch from silent movies to the talkies. It was also, I now realise, a crucial evolutionary phase in the modern history of wine. 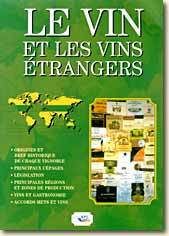 Britain in those days genuinely was at the heart of the wine world and books like Hugh Johnson’s World Wine Atlas influenced millions of wine drinkers internationally. Early editions of that book and Johnson’s similarly ground-breaking Pocket Book also reflected a second and far more important seismic shift in the wine world. Steven Spurrier’s Judgment of Paris tasting in 1976 was like the moment when the pebble hit the water: it took a decade or so for the ripples to reach the shore. The ripples most obviously included a new wave of Californian wines produced by ambitious and confident young winemakers who now knew that anything Bordeaux and Burgundy could do, they could do better. But those novel ‘varietal’ Californian Cabernets and Chardonnays were only part of the picture. In the mid 1980s, Australia also began to export its own examples of these styles, along with unfamiliar stuff labelled as ‘Shiraz’ and ‘Semillon’. In Britain we gave the Aussies a warmer welcome than the Americans, partly because the wines were more affordable (the Californians seemed keen to emulate the Bordelais pricing policy as well as their winemaking) and because the producers took themselves less seriously and were readier to share a pint than to force us to compare their wines with first growths in smart restaurants. Our British cheapskate tendencies were even better catered for by a torrent of Bulgarian Cabernet Sauvignon produced by young Californian winemakers as part of a complex political barter deal involving Pepsi. Hard on the heels of these newcomers, there arrived Sauvignon Blancs from New Zealand, and great value modern reds from other unexpected places ranging from Chile to Corbieres in France and la Mancha in Spain. Within a decade, wine lists that had once been limited to the classic regions of France, plus a few hocks, Chiantis and Rioja included efforts from continents with little or no wine history. The map of the wine world had, quite literally, been redrawn. I was at the heart of all this because, with Charles Metcalfe, I had launched Wine Magazine in 1983 and the International Wine Challenge the following year. Among the people who most embraced our new competition were British supermarkets which had only recently begun to treat wine seriously and were looking for ways to establish their credibility. What could be better than shelves full of medal-winning bottles? The growth in the power of these supermarkets led to another phenomenon: discounting. Selling wine cheaply as a means of attracting customers who would buy other more profitable goods became part of their strategy. Interestingly, however, this was a uniquely UK trend. Nowhere else in the world focused so single-mindedly on low-price promotions. Another point of difference is apparent in the wines on the shelves as one moves from one country to another. British supermarkets rarely offer much of real interest to wine enthusiasts looking for great, memorable bottles. In China and Russia – and at the seasonal Foires a Vins – in France, their counterparts offer first growths as well as the humblest fare. In the US, Costco sells car tyres a few metres away from fairly priced bottles of Haut Brion and Opus One. In Britain, we overlooked or, more accurately, underestimated the impact of the third evolutionary change. Robert Parker’s marking system arrived in the right place – the US market – at precisely the right time. People with no wine experience or knowledge, but with money to spend and a yen for sophistication leaped on the 100-point scale with glee. On the eastern seaboard of the Atlantic, we looked down on its simplicity and the fact that it was associated with one set of tastebuds. What we missed was the fact that Parker – and then Spectator and Enthusiast – points fitted perfectly into a culture where – unlike the UK – showing-off is culturally acceptable. Britons tend to apologize for their own success and take pains to avoid offending others; arriving at a dinner party with a £100 bottle of wine is not seen as generous, it might embarrass the host who has nothing of a similar quality to offer. So British dinner parties are full of middle class people boasting of how cheaply they bought a red ‘that’s from a vineyard just over the road from Chateau Latour, and made by a distant cousin of a Rothschild, and remarkable at only £6.99 from Tesco’. In America, the challenge lies in how close to the 100-point score each of the guests’ and the host’s bottles can get. In many ways, the Parker scale and its essentially egalitarian nature has probably provoked the greatest and most enduring changes in the wine world. In the Old Days, if you weren’t lucky or rich enough to have vines in a bit of Bordeaux that was ennobled in 1855, or a Burgundy Grand Cru you were doomed to a life as part of a lower caste. Today, just as a billionaire in a corner of the former Soviet Union can realistically set out to buy himself a world-class soccer team, a vineyard owner in Uruguay or India can employ Michel Roland or one of his successors in the sincere hope of making a wine that can score as much as a top Bordeaux. To the arrival of new wine producing countries and new ways of rating and retailing them, has now been added a huge new factor: the explosion of the number of markets that now drink serious wines. Most coverage of this aspect focuses, perhaps inevitably, on the BRIC countries – Brazil, Russia, India and China – but producers are increasingly aware of the value of a long list of previously overlooked markets ranging from Azerbaijan to Vietnam. All of these countries now have well-heeled wine drinkers who may end up competing to buy the same bottle of desirable red or white. This has contributed to the last of my set of changes: the extraordinary polarisation of the wine market. A decade or so ago, people who regularly enjoyed modest Bordeaux could at least imagine drinking a wine from a big name chateau perhaps once or twice in their lives. Now, with twelve bottles of Lafite 2009 costing more than a brand new Renault Clio Sport Tourer car, that prospect no longer has a place in any normal mortal’s dreams. At over $1000 a bottle, first growth Bordeaux is no longer a drink; it’s a luxury good, subject to the same rules as the $10,000 handbag. Or it’s an investment. Are these prices sustainable? Or are they part of a bubble that’s bound to burst? My guess is that they’re both. At some stage there will almost certainly be some kind of correction in the market, but over the long term, they will bounce back as new billionaires across the globe fill their recently acquired cellars and the wine fridges on their yachts. At the other end of the scale, something else is happening. To the dismay of many wine traditionalists, wine is becoming increasingly industrialised and internationalised. Major retailing groups like to deal with small numbers of big suppliers, and they react to the fact that consumers now often buy wine in the same way they buy coffee: by style. If an Italian producer can’t offer a Pinot Grigio in the volume and at the price the retailer is looking for, the would-be buyer will simply source it elsewhere – quite possibly in nearby countries like Hungary or Romania. 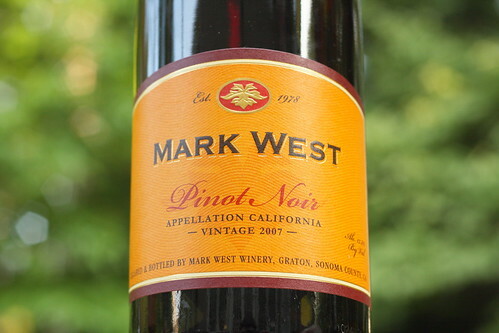 Just take a look at some of the Pinot Noirs on offer in the US. As a San Francisco Chronicle article revealed in 2010, bottles of this variety bearing the labels of such well-known Californian brands as Beringer, Meridian, Pepperwood Grove and Redwood Creek actually contained wine from Languedoc (France), Pavia (Italy), Valle Central (Chile), Rheinhessen (Germany). Next year, the labels will look the same, but the countries could be quite different. I have deliberately omitted ‘natural’ wine from this list of evolutionary changes because I’m pretty sure that they will be little more than a footnote in the history of wine. But I do believe that sustainable agriculture will become increasingly treated as normal across the planet. I know the natural wine movement has some pretty extreme characters, but some of their message will hopefully stick causing the middle ground to shift a little which has got to be a good thing. NB I do love some natural wines, I do love some more conventionally made wines, but the common vein between both is the fact that any good wine will be made with care, detail and attention. Thanks Gregory for picking up on the last par. I was hoping someone would. I can't answer a) because as I understand it “natural” is a nebulous concept of making wine with as little SO2 as possible. Examples of “Natural” wine vary from cider-like efforts to ones that are indistinguishable from organic wine. So what are you asking the public to adopt? b) see a) Plus – in the case of the most extreme examples – I really don't see why many of the public will choose to go against the tide of wine history to embrace brett, cloudiness and oxidation. c) yes, and that was my point. European chickens now live (somewhat) better lives than they did, thanks to improving welfare standards. The same will apply to wine. We actually use far less SO2 than we used to. Ironically, it was the European artisans who used to be the most heavy handed with it and the – more hygenic-focused – New Worlders who taught them that it was possible to make long-lasting wines with lower doses. Sustainable agriculture, like Fairtrade will increasingly become commonplace. I personally think that some Natural Winemakers are changing by raising their game to tap into the larger market places and will likely produce finer wines and less cider and funk like wines. From my experience, the “ultra natural wines” are an oddity but not something a consumer drinks from day to day because they do not represent fair value against their quality. The more conservative expressions can be mind blowing, just like any well made wine. While we could discuss these points over many a jar….I sincerely hope you are right with the sustainable and fairtrade. I agree that “some Natural Winemakers are raising their game” but there are still far too many Ultras around, which simply confuses matters (something the wine industry always relishes doing). And supporters of the cause – like London's Terroir restaurant – still happily serve overpriced wine-cider. If and when there is some kind of clear signposting for consumers, and when the Naturalistas stop using a term that sets them on higher moral ground (frankly I really don't like my and my friends' wines being termed “un-natural” or “less-natural”; what's wrong with “artisan”? ), my attitude towards the movement will change. Until then, I'll go on supporting people who make good wine irrespective of whether they are conventional, organic, bio-dynamic or artisan.